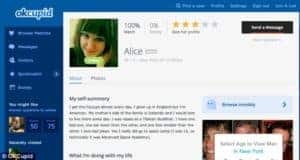 You’re probably here because you’ve been searching for OkCupid review. Well, fortunately for you, you have come to the right place. 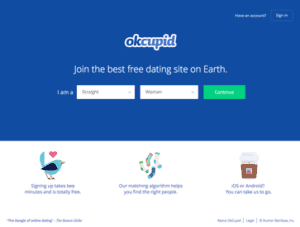 In this article, we are going to discuss OkCupid and if you should go and sign up. People are getting wiser and wiser today because they don’t sign up on the first online dating site that they see. They research about it first before jumping inside the site to look for a potential date. The reason behind this is because of the scam stories that they have read online. These stories are real and you reading this OkCupid review is doing the right things. 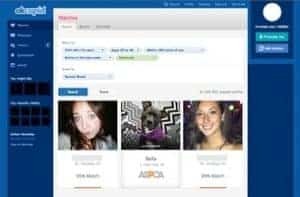 There may be a lot of online dating sites today, but one of the websites that stands out is OkCupid. They are known to provide a personalized and clear online experience to everyone. Their website is conversation focused and friendly. As of this writing, the people who attract OkCupid are usually the younger ones and the liberal ones. This provides OkCupid a significant edge on the dating market. OkCupid is known for having an extensive tool for searching. You can sort or filter your search by interests, religion, and as well as distance. Also, you can search members based on the answers that they have provided. 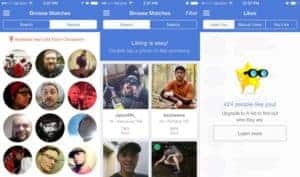 Searching is available in the free membership, but if you want to use the filters, then getting the paid membership would be best. You can also be able to search for the newest members of the site. Chatting with the newer ones will help you to stay ahead of your game when it comes to online dating. OkCupid has the best and through questionnaires. All the data that is in the questionnaire will help the site to create a personality profile that is unique. The questions should be answered honestly, of course, so always take the time to read and understand them. This will also help the site to match you with the right members profoundly and deeply. Also, members can read the different answers of other members. It can help you get to know the person and if she’s a night owl or not. There will also be some information that is more personal, philosophical, and heavier. Answering all the questions honestly will help the site to provide you a more accurate result. 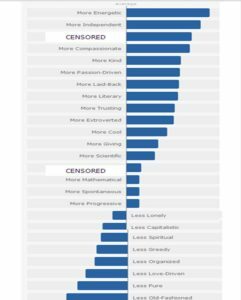 Men can read information about a woman, which is assessed by OkCupid. Yes, this means that members who are lazy enough to read every single detail in the profile can just read the personality assessment. But if you want to get to know the person, then you need to take some time in reading the profile of the member. Now, OkCupid tends showing you similar profiles with the same background and interest in their dating app. This can help you to save energy and time from looking at other profiles. OkCupid will regularly review your taste and give you recommendations accurately. With all these being said, OkCupid is a good site if you are looking for someone with whom you want to have similarities with. It’s free to join, though certain features are only available for paying members. Start signing up and meet the perfect match that you’ve been looking for!